Attention ALL First through Fifth Grade Students! We are getting ready for the District Math competition on February 16th (Fourth & Fifth Grade Students Only) and the State competition on February 24th (1st-5th Grade Students)! This year LFH students will participate in both the district and state Math competition. The STATE Math competition will be in Kennesaw, GA on Saturday, February 24, 2018. (A detailed time schedule and location site will come at a later date). This competition will include 1st-5th grade students, and they will compete with other grade-level students from across the Eastern region. 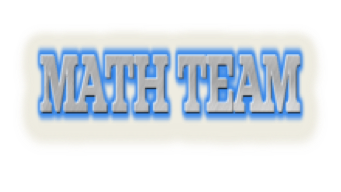 The DISTRICT Math competition will be held on Friday, February 14, 2018 at the Alternative School from 8:00-1:00 p.m. LFH is allowed to take four 4th graders (2 for Challenge 24; 2 for Problem Solving) and four 5th graders (2 for Challenge 24; 2 for Problem Solving) to the RCSS Math Competition. 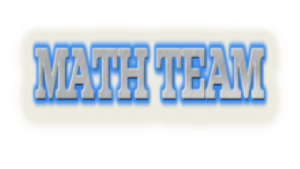 The final announcement for the selection of students from the Math Team who will be on the Math Competition Team (for the district-wide competition for 4th & 5th grade) will be announced on Monday, January 29th. ALL students will participate at the statewide competition. For both the district and the state competition a parent permission form will be sent home to be signed. Students are able to come in the mornings for additional practice (if they want to) at 7:45 a.m. I am asking students to stay after school on the following days from 3:30-4:30 p.m. for practice. Students need to be promptly picked up at 4:30 p.m.
Each student will be responsible for practicing on their own at home. If you are not familiar with “Challenge 24,” the game, it can be found on the firstinmath.com website, which all students have access to and can be found under Skill Sets. Students will also receive problem solving and math computation study sheets to work on at home. Students will continue coming in the mornings to practice at 7:45 a.m. Monday-Friday, this is not mandatory but, will be helpful to the students who really want to practice hard for competition. Also, please make sure your student is practicing at home at least 30 minutes every night.